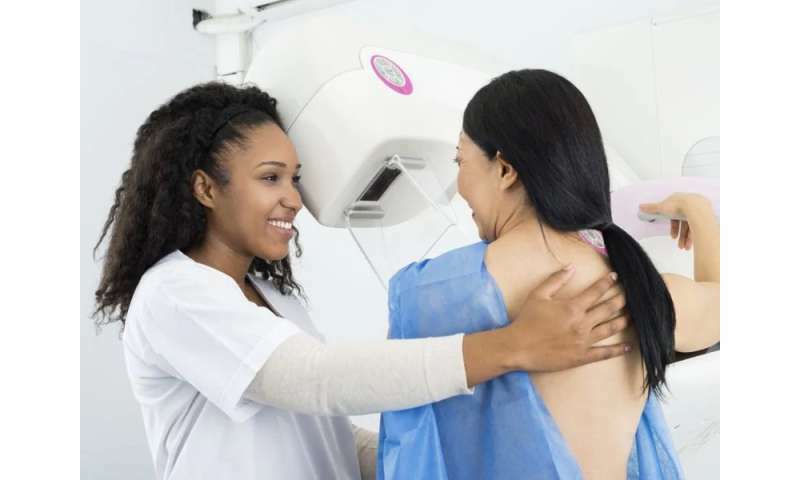 (HealthDay)—The combination of digital mammography (DM) and digital breast tomosynthesis (DBT) detects 90 percent more breast cancers than digital mammography alone, according to a study published in the August issue of Radiology. Pierpaolo Pattacini, M.D., from AUSL Reggio Emilia in Italy, and colleagues compared DM to DBT+DM for breast cancer screening as part of the Reggio Emilia Tomosynthesis trial. In this trial, eligible women (aged 45 to 70 years old) were randomized (1:1) to either DM+DBT (9,777 patients) or DM alone (9,783 patients). Both involved two projections and double readings. The researchers found that detection was 4.5 per 1,000 in the DM arm and 8.6 per 1,000 in the DM+DBT arm. Recall rates were similar in both arms. The positive predictive value of the recall was 13.0 and 24.1 percent, respectively (P = 0.0002), with 72 of 80 cancers in the DBT+DM arm positive for at least one DBT-alone reading. Detection rate using DM+DBT was stronger for ductal carcinoma in situ. It was also notable for small and medium invasive cancers, but not for large ones. "Tomosynthesis and digital mammography is much more sensitive than digital mammography," Pattacini said in a statement. "The vast majority of the advantage is due to tomosynthesis alone." Several authors report financial ties to medical device companies, including GE Healthcare, which provided the equipment for the study.